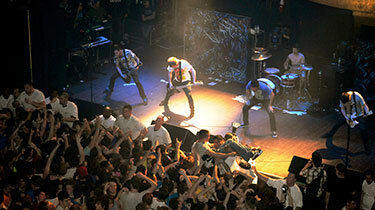 A Day To Remember tickets are on sale right now on ConcertPass. ConcertPass is your number one destination for all A Day To Remember concerts tickets as well as concert dates and extensive tour information. On ConcertPass you'll find A Day To Remember tickets at great prices across an excellent range of seating options. We'll let you pick your seats from our interactive maps so you can find the seats that are right for you. All A Day To Remember concerts tickets come with our ticket integrity guarantee, with all tickets guaranteed or your money back. You'll find tickets for thousands of concerts and events on ConcertPass, so please feel free to browse around. Be a part of the action and witness great some performances right now, buy your tickets for A Day To Remember today, so you don't miss out.